With a policy change, the Sarasota County Commission has made it clear that municipalities still can ask for additional beach renourishment funds in “extenuating and unusual circumstances not reasonably foreseeable,” but county projects will take precedence over those in the cities. During unanimous votes on March 8, the board approved new language for its Tourist Development Tax (TDT) ordinance regarding one specific account — Fund 186. The tweak clarifies the process for future discussions about emergency municipal requests for assistance, Matt Osterhoudt, senior manager in the county’s Planning and Development Services Department, explained in a March 8 memo to the board. “I think this brings some level of expectation, so that it’s not a pot that we’re diving into at every turn,” Commissioner Christine Robinson said of Fund 186. She made the motion to approve the modification of the TDT ordinance, and Commissioner Carolyn Mason seconded it. 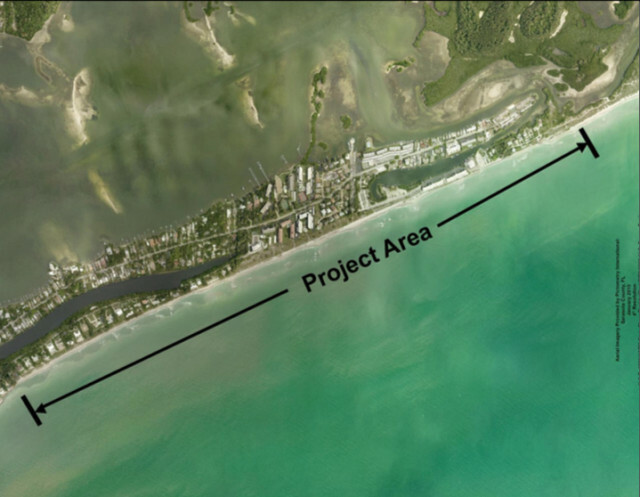 Dredging for the $21.5 million South Siesta project began on the afternoon of March 9, county Project Manager Paul Semenec told The Sarasota News Leader in an email. Weeks Marine of Covington, LA, will be removing sand from two sources in the Gulf of Mexico, about 8.5 to 10 miles offshore, county Coastal Resources Manager Laird Wreford told members of the Siesta Key Association (SKA) in November 2015. In his March 8 memo, Osterhoudt further explained that since the first South Siesta Renourishment Project was developed 12 years ago, the County Commission has approved three requests from Fund 186 to assist municipalities with projects that had arisen because of unique circumstances. That money was awarded to them to supplement their Fund 103 revenue, the memo notes. In 2007, the County Commission granted the City of Venice $267,000 to help pay for an unexpected additional permitting requirement that resulted from a state rule change. Then, in 2014, the board granted the City of Sarasota $1 million to supplement an interim project to renourish Lido Beach because of severe erosion that shoreline sustained in 2012 when Tropical Storm Debby churned offshore for several days. That renourishment was undertaken as an interim project, the memo adds, while the city works with the U.S. Army Corps of Engineers (USACE) to gain a state permit for the dredging of Big Sarasota Pass to begin the first of what the USACE has envisioned as a 50-year project to keep sufficient sand on Lido to protect shoreline infrastructure. That $19 million project thus far has not been allocated the necessary funding from the federal government. The third project, Osterhoudt’s memo points out, came in 2015, when the County Commission granted the City of Venice $1 million to replenish a portion of the city’s beach nourishment contingency funds, which it had to use after the cost of its latest project increased. The practice of awarding such funds to the municipalities “has been in place for quite some time,” Osterhoudt pointed out during his March 8 presentation to the county board. The staff recommendation for the ordinance change, Osterhoudt said on March 8, is designed to make certain all of the parties understand how the process will work. “We have confirmed that through all the municipalities,” he added. 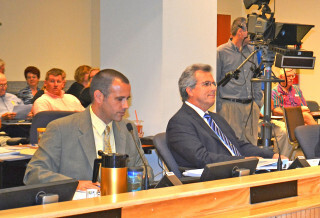 The Town of Longboat Key also was contacted, Osterhoudt noted, even though it will not be affected by the change. 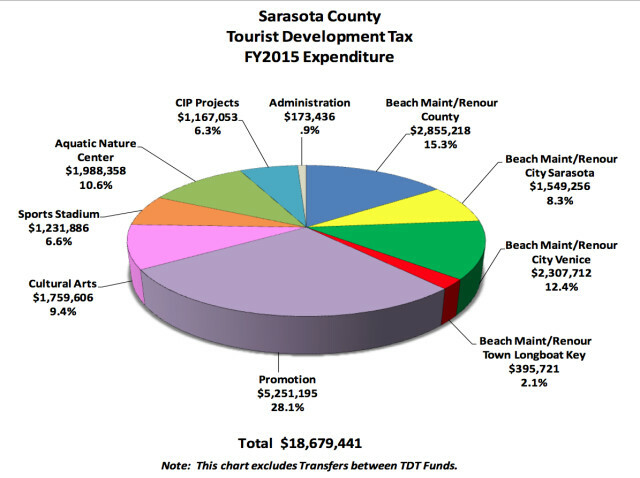 The only question staff received from the Cities of Sarasota and Venice, Osterhoudt continued, focused on making certain that the policy for Fund 103 would not be modified. Furthermore, Osterhoudt told the board, he presented the proposed change to the Tourist Development Council in January, and none of those advisory board members offered a comment on it. “I appreciate all the good work staff did on this,” Robinson told him prior to the vote approving the modification.